ONS’ public policy analysis divisions collectively produce hundreds of statistics each year. But how are they used? Are we supplying what the public and policy decision makers need? Sound policy decisions matter for everyone and our statistics must provide a firm evidence base that strengthens conversations, facilitates transparency, and informs associated decisions which affect daily life in Britain. The ONS vision for public policy analysis in 2020 is that our work is more relevant and helpful in this context. A clear chain of reasoning needs to govern our thinking and ensure we create impact. We begin with a clear policy problem or question, create some associated hypotheses and translate these into analytical lines of enquiry. To make these lines of analytical enquiry most effective, we also need the right data and people with the right skills to use the right tools and technology. We have some examples of how ONS are already doing this, outlined below. The next phase for us is to transform what we are doing well into something extraordinary. Climate change continues to be one of the biggest risks to the future of our world. The UK Government and Devolved Administrations have responded through various initiatives to boost the green economy in recent years. But how successful have those policies been? How many green jobs have been created? Where are the opportunities for investment? To answer these questions ONS developed a Low Carbon and Renewable Energy Economy Survey. The results have fed into target setting for low carbon sectors; used to inform future Feed in Tariff reviews for the solar industry; and tidal power estimates have been used for the assessment of economic benefit and value added of investment in this area. This insight will help to ensure that government are developing policies that will have the biggest positive impact on the green economy and ultimately the environment. In recent years fraud and cyber crime have emerged as some of the biggest threats to the finances of businesses and individuals. It can reasonably be speculated that it costs economies across the globe billions every year. But online fraud is notoriously difficult to measure. How big is the problem? This year, ONS published for the first time estimates of online and traditional fraud. These estimates informed decision makers about the scale of the threat from such crime. Understanding the scale of the problem will allow the government to allocate an appropriate amount of resource and investment to tackle fraud. We analysed our suicide rate data and found that the UK had a high suicide rate compared to other countries. We noticed that many of the deaths involved a commonly prescribed opiate and paracetamol based painkiller. ONS delivered unique analysis proving that this painkiller was highly toxic – the ratio between rate of prescribing and number of deaths was much higher than any other commonly used painkiller. This evidence led to a change in UK prescribing policy. It is estimated that the change in policy may save 200 lives per year. In 2015 the Government set up a series of taskforces to deliver key manifesto commitments. One of these taskforces was the Childcare Taskforce, which aimed at “driving the delivery of 30 hours of free childcare to working parents of three- and four-year-olds and of tax-free childcare to support parents back into work and driving further improvements in the supply of childcare”. We supported the Childcare taskforce by undertaking bespoke analysis showing trends in key labour market variables such as mothers in work; economic status of households; and median hours worked where one or both parents are working. This allowed the Taskforce to understand the resources that would be required to make this policy a reality. 30 hours of free childcare is now being trialled in 8 English Councils. Our statistics show that the UK population has an increasingly large and elderly population. Advances in medicine and quality of life mean that we are all living longer, impacting on public services and pensions. To reflect this, the government is now reviewing the state pension age more frequently. To support the latest review, published in October 2016 we published variations on the health state life expectancies across local areas in the UK. This will allow the review to understand how long people can expect to live a healthy life in different parts of the UK. Our plan is to innovate and strengthen this capability with the ambition and pace equal to that of any world-class organisation. Across public policy topics such as crime, health and migration, we are taking the same approach: working in collaboration with the Government Statistical Service and others to strengthen our outputs, maintaining our reputation for statistical excellence and independence. Our ability to be more responsive to the present-day discourse will be enhanced by greater data science capability and advanced techniques such as data linkage. Accordingly, we fulfill our purpose to promote the public good through helpful, trusted statistics. We are excited by what the future holds from this investment and the opportunities available to better support Britain. 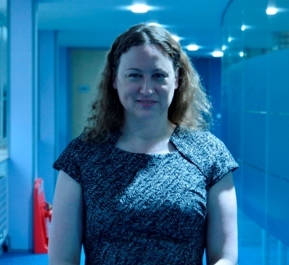 Emma Rourke is Director of Public Policy Analysis at ONS. 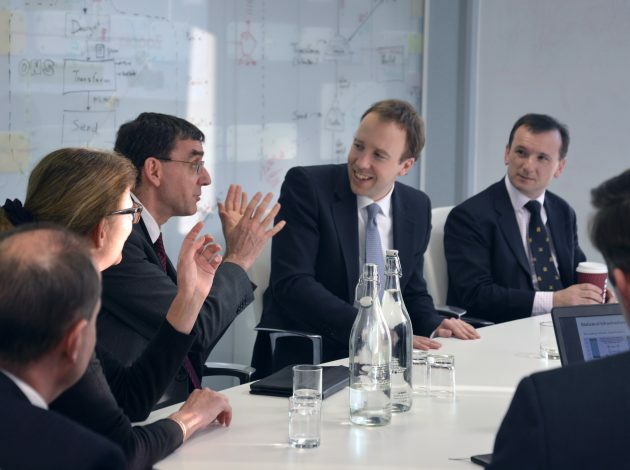 Pictured top: National Statistician John Pullinger briefs UK Government Ministers Matt Hancock MP and Alun Cairns MP on a visit to ONS, Spring 2016.